One of India's top automakers has a head start in the country's race to ditch gas and diesel cars by 2030. Mahindra bought a small electric carmaker based in Bangalore in 2010, a full two years before Tesla (TSLA) sold its first Model S sedan. 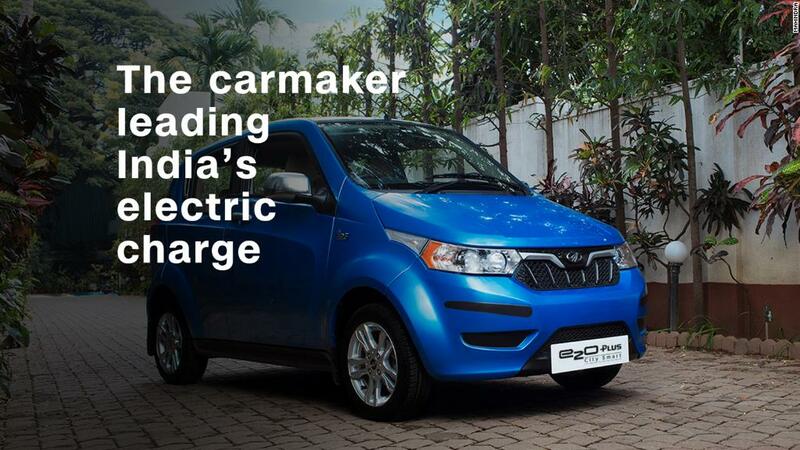 "When we invested, it was like a concept," Mahesh Babu, CEO of Mahindra Electric, told CNNMoney. "We always believed that the future of mobility is sustainable, and sustainability can be achieved by electric mobility." 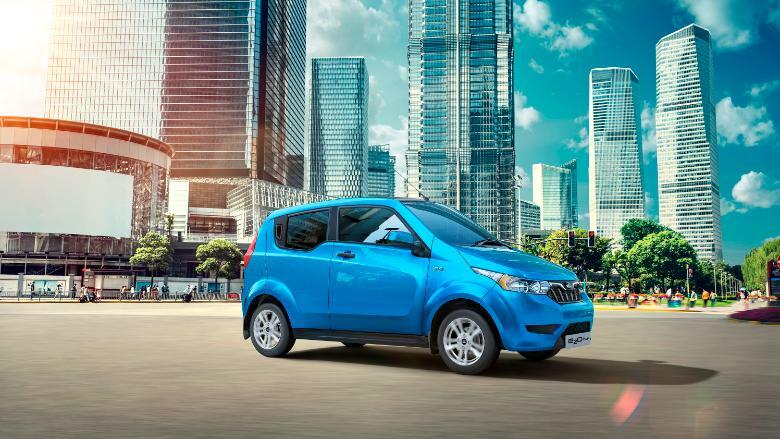 Mahindra's (MAHMF) first electric car, the e2o, struggled to find buyers but things began looking up in 2015 when the government announced a series of tax incentives. The Mumbai-based company is still the only Indian carmaker selling electric cars direct to customers, putting it in pole position to lead the country's charge away from polluting vehicles. It launched electric versions of its Verito sedan and Supro minivan last year, along with a new four-door e2o plus. The e2o plus is Mahindra's latest electric vehicle. It also debuted an electric version of India's ubiquitous autorickshaw, dubbed the e-Alfa Mini, in September. Mahindra Electric's sales are now growing steadily, but they're still just a drop in the ocean in India's booming automobile market. The company sold around 1,200 vehicles last year, and is set to sell more than 2,000 this year. Babu admits that Indian consumers are not yet switching to electric cars en masse. "Individual customers will buy only when it makes economic sense," he said. "Electric vehicles are cheaper to operate...[but] the initial investment is slightly higher." Meanwhile, the company is trying to get its cars onto Indian roads in other ways. It has just agreed to provide Uber with hundreds of Mahindra electric vehicles for its fleets in the cities of New Delhi and Hyderabad. That follows a similar deal with Uber's main Indian rival, Ola, in May. The Indian government is also helping, with a mammoth order for 10,000 electric cars. Mahindra will share that business with its main Indian rival, Tata Motors (TTM). Both could soon have a much larger competitor to contend with. Elon Musk wants to bring Tesla to India, but has held off because of uncertainty over the country's manufacturing regulations. "We welcome Tata, we welcome Tesla, we welcome Nissan (NSANF)," Babu said. "If you ask me, the main competitor for the electric vehicle is current fossil fuel vehicles." Mahindra Electric plans to ramp up its annual production capacity to 12,000 by the middle of 2017, and then to 60,000 by 2020. But Babu is cautious about whether the government can hit its goal to go all-electric by 2030. "Whether it will happen or not, we are happy that such debates are happening," Babu said, adding there's a good chance that at least half of India's cars will be electric by then. Even in a worst case scenario, he expects electric cars to account for at least 18% of sales in 2030. That's "still more than a million" vehicles, he said.